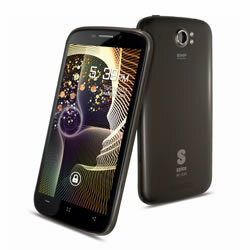 Key difference: The Spice Stellar Pinnacle Pro Mi-535 is a mid-range budget quad-core phone with a speed of 1.2 GHz. It runs Android 4.2 Jelly Bean and is powered by 1 GB of RAM. The phone features an 8 MP camera with auto focus and LED Flash. The phone also features a 5 MP front-facing wide angle secondary camera, also with auto focus. 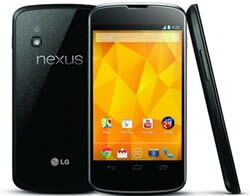 The Nexus 4 is Google's fourth Nexus-branded Android smartphone. It was produced in collaboration with LG Electronics. The phone runs on the Android 4.2 (Jelly Bean) operating system, which was launched with the phone. Among the number of various companies, Google has also launched its own line of smartphones based on Android, called the Google Nexus. Each device in the Nexus line is produced via collaboration between Google and a leading original equipment manufacturer (OEM) partner. The Nexus 4 is Google's fourth Nexus-branded Android smartphone. It was produced in collaboration with LG Electronics. The phone features a 1.5 GHz quad-core Snapdragon S4 Pro processor, 2 GB of RAM, 8 or 16 GB of internal storage, front facing 1.3 megapixel camera and an 8 megapixel rear camera and a micro-SIM card tray. The phone runs on the Android 4.2 (Jelly Bean) operating system, which was launched with the phone. The phone also features a new camera technology, called the Photo Sphere. This allows one to take 360 deg Panorama shots. The Nexus devices in general have an advantage over other devices in that the Android in the Nexus devices is pure. I.e. the Android does not have any manufacturer or wireless carrier modifications to it, such as a custom graphical user interface. The Android also has an unlockable bootloader to allow further development and end-user modification, all of which is usually blocked on other Android smartphones. The information for the detailed table about the two phones has been taken from SpiceStellar.com, the Google Nexus website and GSMArena.com. Google; designed in collaboration with and manufactured by LG Electronics.